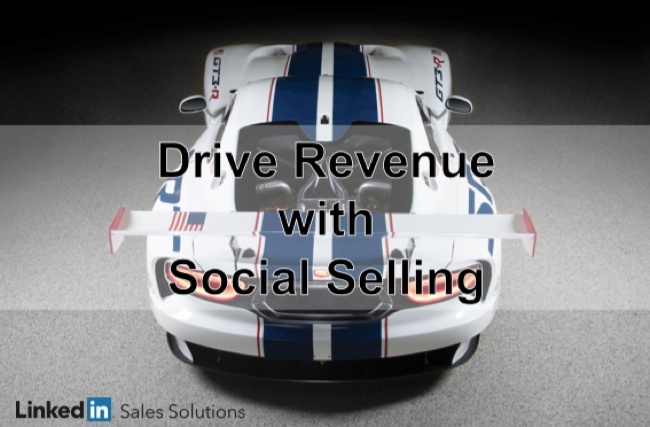 Social selling is the new driving force behind increased revenue and improved business-buyer relationships. This approach allows sales professionals to 'engage' with buyers rather than 'pitch' to them. Thanks to an increased awareness of Internet search capabilities, buyers can now find all the information they need about a product or service before even being contacted. This means that the sales professionals of today have to always be a step ahead. They should be visible, offering answers to the questions buyers have at the right time and engaging them before they have a chance to search elsewhere. The main difference between social selling and telemarketing is effectiveness. Telemarketers know very little about the leads they contact, and the majority of the time, these leads cannot be qualified. This is why IBM's 2012 Preference Study revealed that cold calls are 97% ineffective. If sales professionals don't know anything about their leads, they can't personalize sales scripts to improve their chances of landing a sell. This called for a transformation in the way that these professionals approach buyers. Social selling has proven to be much more effective than telemarketing, since it leverages the data that users submit. The professional social platform, LinkedIn, is the leader in rich social data, which is updated by over 200 million professional users daily. These users leave important imprints on the platform by updating statuses and asking and answering questions, as well as networking with other members. This information can be leveraged by B2B companies who want to improve their lead quality before selling. LinkedIn allows companies to find their target audience by using their search option. They can find buyers by location, company, type and title. Social media sites like LinkedIn give a face and personality to the buyer; this opens the opportunity for sales professionals to engage in a meaningful conversation with the buyer before selling. According to Sales Guy Consulting, 72.6% of sales professionals use social media as part of their sales process. This enables them to outsell their competitors and exceed their quota 23% more often. Using LinkedIn's strong search function, sales teams and marketers are able to qualify leads before contacting them, as well as leverage warm referrals. A warm referral improves the odds of sales success by four times. In B2B sales, the most important aspect of improving sales lies in lead nurturing. Social Media Today states that 79% of marketing leads never convert into sales and that a lack of lead nurturing is the common cause of this poor performance. LinkedIn's social selling tools help these companies improve their lead nurturing process by allowing them to post industry-related information to their potential buyers. This process does away with email spamming, cold-calling and mistakes made in the nurturing process. What remains is a pure opportunity to leverage information about the buyer and their needs, and if approached at the right time, this could easily increase the likelihood of a sell. As you can see, social selling is more effective than traditional selling for one reason -- it opens up the channels of engagement. When buyers are having a problem and need a product or service to solve it, they want to know why they should go with a particular company to get it. Social selling allows sales professional to not just explain why they're the right choice, but also show what they know about the industry in general. This increases brand trustworthiness, which drives sales and improves the odds of obtaining lifetime buyers.